Our firm offers legal expertise in all aspects of Wills and Probate to clients located in the LaGrange, Illinois area. If you own property, have children, have recently been married or divorced, or wish to make a special bequest to a friend or relative, you should make or update your will. 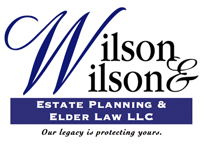 Our estate-planning lawyers can help you draft a new will or amend one already in existence to insure that your property is distributed according to your wishes. Another important reason to meet with an estate planning lawyer is to set forth in a legal document, your wishes and directives regarding your healthcare and finances. These documents are critical in the event you are rendered unconscious or otherwise unable to state your wishes. Our lawyers can help you draft medical powers of attorney, living wills, and financial powers of attorney and appointment that will help your family and medical providers make important decisions if you are unable to do so. Probate courts oversee the administration of property after death, the guardianships of minors, and conservatorships of incapacitated adults. Our lawyers are experienced in all areas of probate law, and we encourage you to contact us to discuss any probate issues or questions you may have. When someone dies, either with or without leaving a will, there are often estate matters that need to be handled, such as changing title to property and completing tax forms. During probate, the court supervises the processes that transfer legal title of property from the estate of the person who has died (the "decedent") to his or her beneficiaries. If the decedent had a trust, then there is no need for court supervision. This is called Trust Termination. Transferring property when someone dies can be complicated. If someone close to you has recently died, we strongly encourage you to have one of our lawyers handle the outstanding legal matters on your behalf, so that you can focus on taking care of your family during their time of loss. If someone who owes you money has died recently, you may have to file a creditor's claim in Probate Court in order to collect your money from the estate. There are very strict time limits on doing this, so you should contact a probate attorney right away if you have a claim against a decedent's estate. TO SET UP A CONSULTATION TO DISCUSS ESTATE PLANNING AND WILLS, CONTACT US ONLINE OR CALL US AT 708-482-7090.